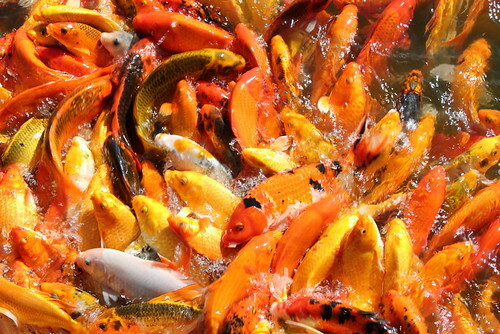 This is a photo of my kid in awe of the sight of giant koi fishes pushing each other to get a piece of bread that people throw to the water. 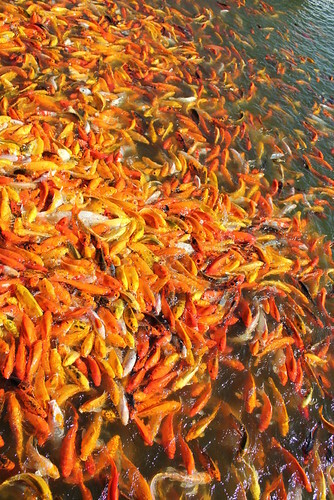 It was my first time seeing thousands of big hungry looking koi fishes pushing and fighting each other for the food. Bread are available so people can feed them. It was a fun experience! You can also ride a boat while feeding them. We didn't try it though. I suggest that you go there around 5pm so you could enjoy this activity more. 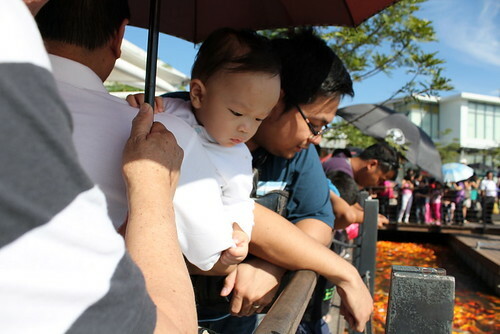 We went there around 2pm and there's no shade on the Koi area so just imagine how hot it is around that time. Good thing my mom-in-law has an umbrella we were able to see this. 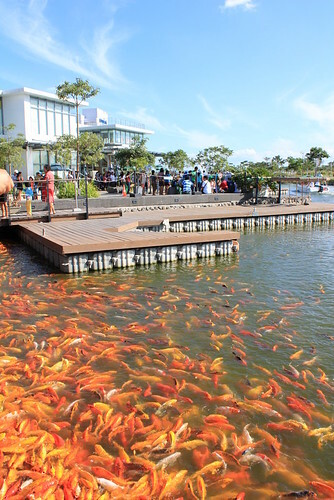 We set up a bazaar there last November, and when we fed the fish, with their big mouths open waiting for fish food, my daughter as all, "Eeeeewww...they're disgusting!" but still kept on feeding them.